Part #: 18951. Warranty Type: Manufacturer Warranty. WARRANTYWarranty Duration: Other. No local pickup option available. Part #: 231003. Timken is one of the world's leading producers of highly engineered antifriction bearings and related products and services and alloy steel and components. 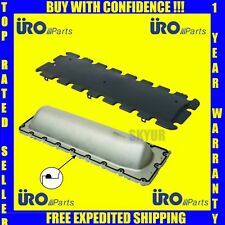 NEW URO ENGINE VALLEY PAN & PLASTIC COVER GASKET SET ! URO PART !!!! 530i,540i,740i,740iL,840Ci,X5,Z8 MODELS. 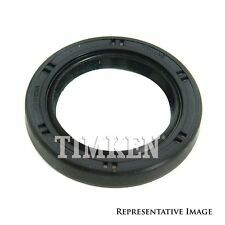 QUANTITY 1 VALLEY PAN PLASTIC COVER GASKET CAP. QUANTITY 1 ENGINE VALLEY PAN. This National Oil Seals Crankshaft Repair Sleeve fits your 2003 2002 2001 2000 1999 1998 1997 1996 1995 1994 BMW 540i 4.0L 4.4L V8 and is perfect for a tune up or performance upgrade. 2000 BMW 540i 4.4L V8;Base Sedan 4-Door;GAS;DOHC;Naturally Aspirated;Rear. Part Number: 710279. Interchange Part Number : 21613, 710279. MFG Model # (Series) : 710279. OEM�s Part Number : 710279. Part Numbers: 21613, 710279. Seal Housing Bore : 2.756. Seal Housing Material : Steel. This National Oil Seals Crankshaft Seal fits your 2003 2002 2001 2000 1999 1998 1997 1996 1995 1994 BMW 540i 4.0L 4.4L V8 and is perfect for a tune up or performance upgrade. 1999 BMW 540i 4.4L V8;Base Wagon 4-Door;GAS;DOHC;Naturally Aspirated;Rear. Note Victor Reinz. 1994 - 1995 BMW 530i. Part Type Engine Timing Cover Gasket Set. 1994 - 1995 BMW 540i. 1993 - 1995 BMW 740i. 1993 - 1995 BMW 740iL. 1994 - 1995 BMW 840Ci. BMW Elring Lower Engine Timing Cover Gasket Set 633.463 11141436978. Part Number: MS19609. Part Type: Engine Intake Manifold Gasket Set. Overdrive has been in the automotive parts industry for over 15 years. FIND THE RIGHT PART FOR YOUR CAR. Newly Listed. QUICK LINKS. Note Victor Reinz. 2000 - 2003 BMW X5. Part Type Engine Timing Cover Gasket Set. BMW 530i Victor Reinz Engine Timing Cover Gasket Set 15-31869-01 11141433305. 1994 - 1995 BMW 530i. 1994 - 2003 BMW 540i. 2000-2003 X5 4.4 M62 SAV. 2002-2003 X5 4.6is SAV. 11 14 1 436 978. 1999-2003 540i Wagon E39. 1997-2003 540i E39. 1994-1997 840Ci E31. 150Pcs solid copper sump plug washer set. Material: Copper. A sump plug washer set to suit all types of engines be it Car, Marine, Generators, Machinery and Plant. Size types: 15. Box size: approx. Part Number: 18951. Interchange Part Number : CHR 18951, CR18951, 11141275466, 116550117601. Part Numbers: 050 260, 11 14 1 275 466, 11 14 2 249 532, 11141275466, 116550117601, 18951, 18951CHR, 1973, 2076-41348, 224865, 225 06080, 225 06080 040, 225 06080 365, 43X65X8HMSAH, 59018951, 716484, A8060-49682-SKF, CHR 18951, CR18951, N18951, NOS18951, P716484, R18951, WS1973. Note Victor Reinz. Part Type Engine Timing Cover Gasket. 1997 - 2003 BMW 540i. 1997 - 2001 BMW 740i. 1996 - 2001 BMW 740iL. 1996 - 1997 BMW 840Ci. 2000 - 2003 BMW X5. BMW X5 Elring Engine Timing Cover Gasket 326.110 11141741127. BMW 540i 1999 All Trims All Engines. BMW 540i 2000 All Trims All Engines. BMW 540i 2001 All Trims All Engines. 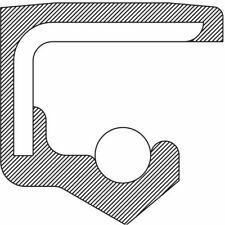 11 14 1 710 247, Crankshaft Seal. Part Number: 122132. Warranty Duration:2 Year. This part generally fits BMW vehicles and includes models such as 540i, 740i, 740iL, 840Ci, X5 with the trims of 4.4i Formula 1 Sport Utility 4-Door, 4.4i Lujo Sport Utility 4-Door, 4.4i Sport Utility 4-Door, 4.4i Top Line Sport Utility 4-Door, 4.6is Sport Utility 4-Door, Base Coupe 2-Door, Base Sedan 4-Door, Base Wagon 4-Door. Part Number: 122131. Warranty Duration:2 Year. Aluminum Washer-14 X 18 X 1.5 mm. Fisher & Plath. 14 X 18 X 1.5 mm. Aluminum Washer-14 X 18 X 1.5 mm-Oil Line. Aluminum Washer-14 X 18 X 1.5 mm-Temperature Sender. Read Vehicle Compatibility. 1997-2001 740i.